The Manhattan Project is one of the largest scientific research programs the United States has ever seen — and certainly the one with the greatest impact on foreign policy. Commissioned by President Franklin Roosevelt by executive order in June 1941, at its height the Project employed 130,000 people and cost a total of $26 billion in 2015 dollars. 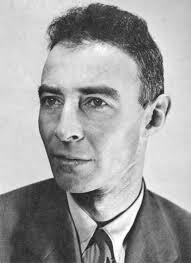 Spread out between secret facilities in Los Alamos, New Mexico, Oak Ridge, Tennessee, Red Gate Woods, Illinois, and Richland, Washington, the work to create a nuclear bomb was headed by the Army Corps of Engineers and scientist J. Robert Oppenheimer. The group worked for over three years on methods to extract plutonium from Uranium-235 and then on a way to harness plutonium’s natural fission into a controllable bomb. Eventually, they settled on an implosion method, where a critical mass of plutonium would be condensed by surrounding explosions to create a supercritical mass which would then be triggered to create fission. On July 16th, 1945, a test was conducted of the implosion bomb, code-named Trinity by Oppenheimer as an allusion to a poem by John Donne. 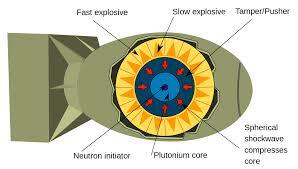 At 05:29 a.m. the device exploded with an energy equivalent to around 20 kilotons of TNT. The desert sand, largely made of silica, melted and became a mildly radioactive light green glass, which was named trinitite. It left a crater in the desert 5 feet deep and 30 feet wide. At the time of detonation, the surrounding mountains were illuminated “brighter than daytime” for one to two seconds, and the heat was reported as “being as hot as an oven” at the base camp. The observed colors of the illumination changed from purple to green and eventually to white. The roar of the shock wave took 40 seconds to reach the observers. It was felt over 100 miles away, and the mushroom cloud reached 7.5 miles in height. The test was a success. Myron Kratzer enlisted in the Army at 18 intending to be become a meteorologist; however, he ended up at Ohio State University studying chemical engineering under the Army Specialized Training Program after the program to train meteorologists was ended. After less than a year at Ohio State and an interview at Oak Ridge, Kratzer was selected to work on the Manhattan Project in Los Alamos, which he did as a GI from June 1944 to March 1946. He spent the rest of his career as a science counselor at Embassy Buenos Aires and Embassy Tokyo, before serving as Deputy Assistant Secretary for the Bureau of Oceans and International and Environmental and Scientific Affairs (OES), and as a consultant for the Nuclear Regulatory Commission. In an interview with Charles Stuart Kennedy beginning in 1998, Kratzer discusses his time at Los Alamos, his brief encounters with Ethel Rosenberg’s brother, and the widespread euphoria felt when the test succeeded. You can also read about the test of the hydrogen bomb in 1952 and when the U.S. accidentally dropped four H-bombs over Spain. Go here for other Moments on WWII. Q: What was the atmosphere at Los Alamos when you arrived? KRATZER: It was amazing. It was full of enthusiasm, expectation, and hard work, and quite a lot of fun in the sense of people getting together for entertainment. It was closed but not as closed as some of the accounts have it. We could leave it but we couldn’t go home. We could go down to Santa Fe. We were a common sight on the streets of Santa Fe, about 25 miles away. The logical question, is did we know what we were doing? The answer is that we did. We couldn’t have done the jobs that we had if we hadn’t known what they were about. There was perhaps a battle that you read of from some of the accounts between Oppenheimer and the military authorities as to whether the junior staff should have access. He (Oppenheimer) clearly won, so that certainly I knew what I was doing and what the project was for. We were all informed from within a week of getting up there and getting assigned to a job. This was kind of funny itself because I kept saying I wanted to do chemical engineering. It wasn’t the place, in senior staff’s view, where any chemical engineering was being done, but they scratched their heads and came up with a job that really was in the category of chemical engineering. It was part of the Chemistry and Metallurgy Division. It was directly connected with the test, called Trinity. If it had not worked, then the plutonium that was to be used in it would have been essentially all the plutonium in the world at that date, at least in the United States, and of incalculable value. Our job was to come up with a system to recover it. This involved initially a great big pressure vessel. 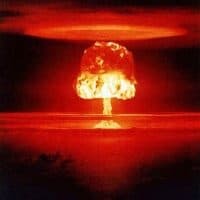 The test was to be conducted in a pressure vessel, which if there had been no nuclear explosion, would have contained the explosion of the high explosive. We would then go in and dissolve out the stuff plastered on the walls and recover all the plutonium. At a later date, they decided not to do it in a pressure vessel for a lot of scientific and other reasons but on a tower instead. That would have involved us going in and sweeping up the desert floor and recovering what plutonium we could, which would have been far less but still worthwhile. That was the job that our small group of chemical people, headed by civilian scientists from the University of California, had. It wasn’t weapons design per se but it depended on knowing what the project was all about. There was to be a nuclear explosion, and it wasn’t known what the consequences of that would be. There was lots of excitement and lots of enthusiasm but it wasn’t at the military level. We didn’t consciously reject anything military. It just wasn’t part of it. In my group of six or eight people – and to some extent, but not exclusively, your friends tended to be those you work with — the group leader was a Ph.D. chemist. We were certainly all under 30. Two or three other civilians and, at various times, probably two or three GIs — one of whom was a classmate from Ohio State — went through the same process that I did. We were good friends but not to the exclusion of other people. My closest friend was in a completely different group but he had also come through the same process. He was also one of the chemical engineering students at Ohio State and got assigned to a different group, but we continued to be close friends. When we had time off, we would get together and go into Santa Fe. The excitement of seeing the top people was great. 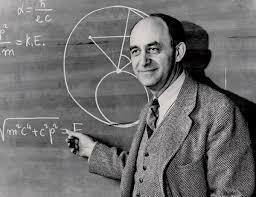 [At right, Enrico] Fermi was there frequently, along with many other top scientists, and we rapidly knew who was who. Looking back on it, the job I had was where I wanted to be but it was not really in the main stream of bomb design. My contact with people in that category was really just seeing them on the streets and, occasionally, in lectures, when they gave some that were open to the technical staff as a whole. I remember hearing Nils Bohr lecture…. There were people there under the auspices of other governments, namely, the British and a few Canadians. In fact, there were two deaths from experimental work at Los Alamos, and one of them was a Canadian, which is not widely known. Q: Prior to going there, had you been aware of the literature about heavy water? This was not a big secret. He said, “That’s true but that’s not what we’re interested in.” My first reaction was not the right one. I didn’t say, “It’s capable of releasing large amounts of energy.” No, I didn’t say that…. Q: Was there any concern that this might start something that might not stop, the idea of starting a reaction that destroys the world? KRATZER:…I remember that was talked about a bit and discounted. Calculations were made that led to the conclusion that it was incapable of igniting the atmosphere, and it didn’t. Otherwise, we wouldn’t be talking here…. There was certainly no secret about the hazards of radioactivity. I remember attending lectures about safety. The basic facts about the dangers of radioactivity were known in the early part of the century.… The hazards were all explained to us. Plutonium is not like radium chemically, but the biological and radiation effects are not unlike that of radium, bone-seeker and so on. [Note: Radium is treated as calcium by the body, and deposited in the bones, where radioactivity degrades marrow and can mutate bone cells.] This was all explained to us. I worked with plutonium…. The thing that sticks in my mind is — I don’t think my memory is playing tricks on me — I guess it took about a week after I got assigned to a group to have it explained to me what the Project was about. I had a GI buddy who was in a different group who was going through a similar experience. He explained what his job was, and I said when this is over, when we do it and have it — and I don’t think anyone ever doubted its success — the war will be over in a week. I think I was off by three or four days. I also really felt that, naively, – as my training in history and that sort of thing was hardly extensive – it would end war. Q: Did politics intrude? I am thinking of, obviously, the Soviet Union. Was this something that was bandied about, I mean were we all pals of the Soviet Union? KRATZER: This is very interesting and a good question. I’ll tell you something that has frequently come to my mind over the years. To put it in context — because at the time it had no meaning whatsoever — one of the people in my barracks, probably no further than 15 feet from me, was David Greenglass, one of the people tried and convicted for espionage for transferring secrets to the Soviets. He was the brother of Ethel Rosenberg, who in turn was the wife of Julius Rosenberg. They were both executed for espionage after the war. I didn’t know him personally, but I knew him by sight. I probably said hello to him. I am sure that he was sort of a loner. I would say he was an odd duck. Unlike most of the people in that particular barracks, I don’t think he had any college education at all. He was a machinist. In addition to the technical staff, there was obviously a need for people who ran machinery and performed tap and dye work. They didn’t have any intellectual input. They were given drawings, and they made the parts that they were told to make. He was in that group, and that was a little unusual because most of that group came later and were in other barracks. The barracks held about 100 people each. At the end of the project, I imagine there were probably close to a thousand GIs. Q: Do you recall anyone asking you if you were in the Communist Party? KRATZER: Oh, absolutely. Even in those days we had to fill out security forms or questionnaires. They were probably what we now call PSQs, that is, personnel security questionnaires, but that’s a term that came along later. I filled them out. I said to you earlier that with a couple of exceptions, this whole group of 30 chemical engineering students from Ohio State went to the project. The exceptions, that we rapidly surmised later, were people — not because of anything they had done, but probably because of foreign birth or foreign parents — who weren’t cleared. I can remember one or two — I can almost picture them — that had foreign parents and weren’t cleared and didn’t get into the project. There was no reference in these security lectures, as I now reconstruct them, to the Russians. We were just worried about the Germans. 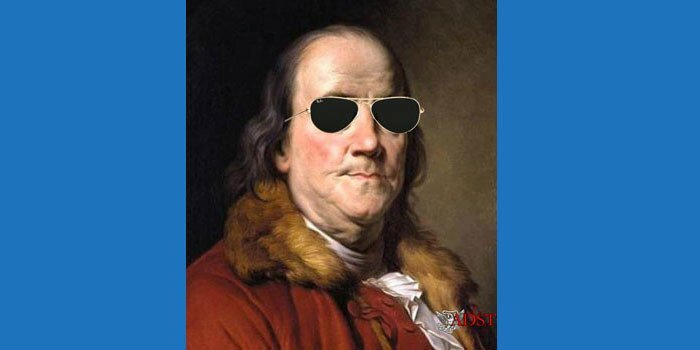 There were foreigners there, British…. The bomb was not available until well after D-Day….I don’t think any of us consciously said, “Well, let’s see where the target’s going to be.” I’m sure somebody was saying this, but not among the group that I talked with. I don’t think we thought in terms that were that specific. We were just intent on getting it done as soon as we could. It became pretty obvious, before we had a bomb to talk about, that the war in Europe would be over. At some point it was obvious that the only place left was Japan. Q: Were you close enough to people who were fighting in the Pacific to see that Japan was going to be an extremely tough nut to crack? Did you feel you had the hammer that was going to crack open? KRATZER: Absolutely. Not from contact with GIs who had been there, but from the news reports of the fighting. At the time I made it to my buddy, it was not target-specific, but I said the war would be over in a week. We were just convinced that it was the right thing to do. I know now that, at higher levels, there was a debate going on about whether to use it, how to use it, and whether to do it as a demonstration…. The test [on July 16] was in the early morning hours. In fact it was still dark so that there was a flash of light. I think it was visible from some portions of Los Alamos but I didn’t know it. I sort of regret that I didn’t know it but I don’t think I would have done anything differently. That day as people came back up from the test site of Trinity, White Sands, we just heard about how well it worked. If not that day, certainly within 24 hours, there were fairly reliable calculations about its force — 20,000 kilotons. From that point on, we knew we had a winner…. The success of the test was widely known in the technical staff. I think by that time there was almost total confidence that it would work…. Incidentally, the Hiroshima bomb was not the type that was tested. It was an untested design because it was a design they felt sure would work even without testing. …. Q: Your potential job of cleaning up if it didn’t work would have put you right in the middle of this problem. KRATZER: That’s right. What I should have explained and didn’t is that, well before Trinity when the plutonium bomb was tested, the decision was made to go ahead because of confidence that it would work. We had pretty much completed our preparations for recovery well before the test. We would have had to, or the recovery system wouldn’t have been ready. I had begun a different job. 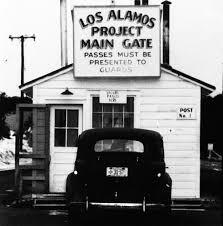 The decision was made to build what amounted to a small production plant for bombs at Los Alamos. In other words, moving it out of a strictly laboratory setting, where the first one or two of them were built, into a small production plant. It was called DP-site, but that’s not important. This little plant had a series of bays in it. One of the bays was the plutonium recovery plant where, after the bomb was fabricated and a certain amount of scrap was generated, it had to be recovered. I was given the job, without a degree or anything, of designing and running it — with a lot of supervision….I had a staff of about four or five, and most of them were civilians. I think I may have been the only one there without a degree. That plant was nearing completion…a month later at the time of the actual drop…. From the time of the test at Trinity until the bomb was dropped in Japan in early August, it was not quite a month. That was a time of almost continuous celebration. The reports about people worrying and having qualms were non-existent. It didn’t exist. I’m not saying there weren’t serious concerns later; there were. But from that time until the drop, it was continuous celebration.